An all-inclusive guide to key concepts and details about Dan Brown’s novel Inferno—featuring black-and-white illustrations. What is the real truth behind the mysteries of Dan Brown’s latest blockbuster thriller? 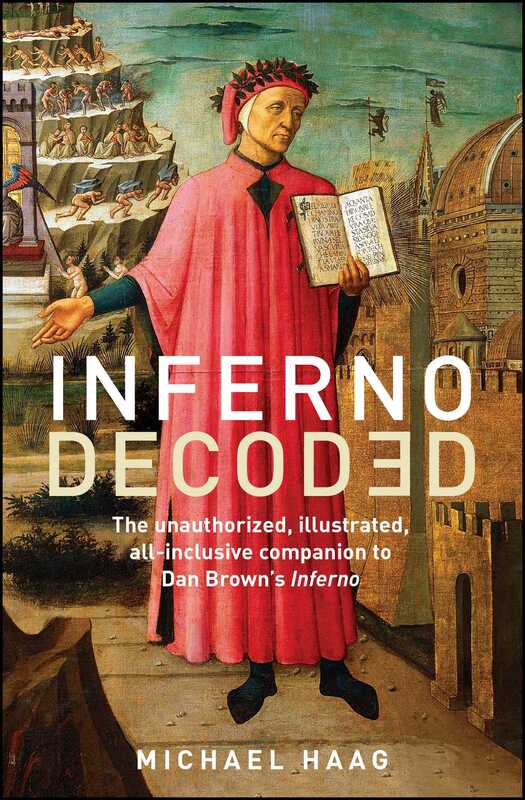 In this illuminating unofficial companion to Dan Brown’s Inferno, popular historian Michael Haag, author of the bestselling Rough Guide to the Da Vinci Code, unpacks Dante’s allegorical poetic masterpiece of the same name, delivering fascinating, crucial background for the characters, settings, and riddles in Brown’s controversial and compel­ling world. How do the clues unveiled in symbology professor Robert Langdon’s daring quest from Florence to Venice and Istanbul overlap with history? What codes and symbols did Dante employ in the Divine Comedy and which secret religious, philosophical, and scientific themes are hidden within his work? What lies behind Botticelli’s “La Mappa dell’Inferno”? And what are the cult scientists known as transhumanists really up to? Inferno Decoded is a book that ranges as widely as Dan Brown’s novel, from the terrors of the Black Death to the scientific debates around pop­ulation growth and prolonging of life-spans, and from the economic, political, and religious tumult in Florence at the dawn of the Renais­sance to real-life locations in Florence, Venice, and Istanbul today. It is a must-read for anyone who has read Inferno and wondered just how its enigmatic questions are real or relevant. Michael Haag has written widely on the Egyptian, classical, and medieval worlds. He is the author of a dozen books, notably Alexandria: City of Memory.